When you own a mixed-breed dog, you usually have a general idea of what breeds make up your pet’s DNA. After all, if your doggo looks like he’s a cross between a doberman and a beagle, he probably is, right? Maybe. Maybe not. But you can find out exactly what breeds encompass his makeup by having his DNA tested. These tests analyze the sample to determine what percentage of specific breeds are represented. Knowing this info is more important than you might think, too. With this vital knowledge, you can determine what type of illnesses your furry friend may be susceptible to as he ages, so you can care for him properly. What Is DNA Testing for Dogs? Canine DNA tests are really similar to the at-home versions available for humans. They check a sample of your dog’s saliva for specific DNA markers that correlate to the breed compositions the lab has in its database. Once analyzed, the results tell you what percentage of your dog’s DNA comes from specific breed types. If you use an at-home kit, you’ll collect the saliva and mail it to the lab, which completes the testing process and provides you with the results, usually within two to eight weeks. DNA tests for dogs can also be performed at your veterinarian’s office. If you decide to have your vet run the test, he or she will take a blood sample to send to the lab and get back to you with the results once they’re processed. What Can You Learn From a Dog DNA Test? The main thing you learn from a canine DNA test is your dog’s breed makeup. However, if you have a mutt who is derived from multiple different breeds of dogs, the test results might not be 100 percent accurate. This is because the lab that conducts the test only has DNA for specific breeds on file — and the number varies between labs. If you have a mixed-breed pup that has purebred parents or grandparents, dog DNA test results are highly accurate. Oddly, the reports won’t tell you if a dog is purebred, but there are other tests available to prove your pup’s pedigree status if needed. Some dog DNA test kits also offer a health screening option. But it’s important to note that the results you receive from a canine DNA health screening won’t indicate your dog currently has a disease or that he’ll definitely get one in the future. They only tell you that your dog may be at a higher risk for specific diseases because the breeds shown in his DNA are more likely to develop certain conditions. For example, boxers typically have a higher risk of developing cancer as they age, while dobermans are prone to a bleeding disorder that’s similar to a human being a hemophiliac. Canine DNA tests can also provide you with your dog’s genetic age and predict how big your puppy will be when he’s fully grown. But this information isn’t always completely accurate — it’s based on estimates from the algorithm the lab sets. Also, your dog’s genetic age may not be his chronological age. When predicting a pup’s genetic age, the lab analyzes the chromosomes telomere length, which shortens as your pet ages. It’s really predicting your dog’s longevity at a cellular level; it can’t tell you when your pup was actually born. If you use a test from DNA My Dog or Wisdom Panel, you’ll also be able to add on an extra test that determines if your dog has any coyote or wolf DNA. It does require an extra fee as it’s not standard. There are two different ways to swab a dog for DNA. The procedure you follow depends on the test kit you purchase, so it’s important to follow the instructions you receive. If you have a kit with a test tube that has the cotton swab attached to it, you use the tube as a handle while you swab the inside of your dog’s mouth. Then, place the lid on the tube so it’s ready to mail to the lab. If the tube and swab are separate, you’ll notice that the swab has a longer handle to make it easier to collect your dog’s saliva sample. In this case, you use the swab as-is before putting it into the collection tube. To collect a DNA sample from your dog, you need to move the swab under your dog’s tongue and along the inside of his cheek for at least 30 seconds. Make sure the swab is completely saturated with saliva before sending it in so the lab has enough DNA to test. Because of this, it might take up to a full minute for you to collect the saliva, but if you roll the swab between your fingers during the collection process, it speeds things up a bit. 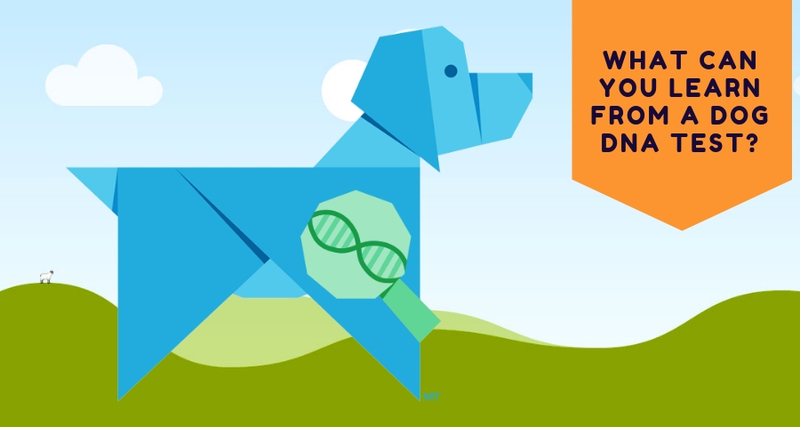 Dog DNA tests are available to purchase online either through the lab’s website or on Amazon. PetSmart’s website also offers canine DNA tests. Additionally, you can purchase kits at your local PetSmart location. What Are the Best DNA Tests For Dogs? When choosing a DNA test kit for your dog, it’s important to look at the cost of the kit, the type of results provided, and the size of the company’s database. As of March 2019, you should expect to pay between $85 and $199 for the test. Usually, the cost of the kit depends on the size of the lab’s database, but bear in mind: the larger the database, the more accurate the results. If you’re looking for the most cost-effective option, Find My Pet has a DNA test kit that sells for $90 and includes both a DNA test and health screening. When compared to other available options, this is a pretty good deal. But it’s important to remember that, like with everything, you get what you pay for. Results from the Find My Pet DNA test aren’t as detailed as the results from Wisdom Panel 4.0 or HomeDNA Orivet, both of which offer health screening options with their DNA tests for $150 and $125, respectively. Wisdom Panel 4.0 has the largest dog DNA database of the options listed. The test scans samples for more than 350 dog breeds. Embark also has a large canine DNA database; it has more than 250 dog breeds. However, Embark’s DNA test costs $199 and includes a health screening for more than 165 genetic conditions, while Wisdom Panel 4.0 lets you decide if you want to include the health screening option or not. You can purchase a kit that only tests your dog’s DNA for basic info for $85 or a test that includes both the standard DNA test and a health screening for over 150 genetic conditions for $150. Wisdom Panel 4.0 and Embark are two of the top canine DNA tests on the market. So you’ll find that the information they offer is fairly similar. However, Embark tests more DNA markers than Wisdom Panel 4.0. So even though Wisdom Panel 4.0 tests more breeds, Embark’s test is typically more accurate and there’s less of a chance that you’ll have a “mixed breed” section in your results. Embark also tests for wolf, coyote, dingo, and village dog ancestry, which Wisdom Panel 4.0 doesn’t do. HomeDNA Orivet offers a DNA test that’s different than other options on the market. Their dog DNA test comes with a life plan that gives you customized diet options, a playtime routine, and exercise suggestions. HomeDNA Orivet also gives you the option to purchase a health screening for your dog, but none of their tests include wolf or coyote DNA testing. Is DNA Testing Right for Your Dog? Canine DNA testing is a pretty interesting concept, especially if you’ve been wondering about your dog’s breed makeup. But how do you know if it’s really a good option for your dog? You don’t. Not really. 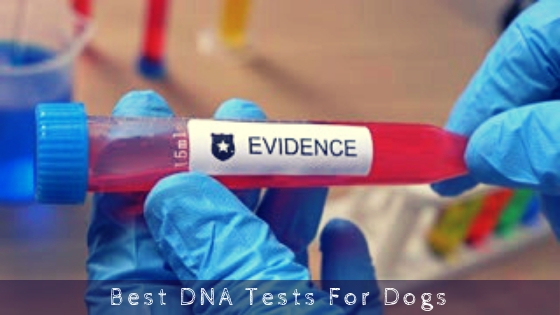 DNA testing can’t harm your dog in any way, so whether or not you purchase a test kit comes down to how badly you want to know the information the test results provide. Sure some of the information provided by certain tests, like the health screening info and life planning guide, can be pretty handy. But they aren’t things you absolutely need to have to be a good pet owner. Basically, it boils down to one thing: whether you want to know your dog’s breed makeup. If you do, buy a DNA test kit. All of the other results you receive with the DNA test are an added bonus. 1 What Is DNA Testing for Dogs? 2 What Can You Learn From a Dog DNA Test? 5 What Are the Best DNA Tests For Dogs? 6 Is DNA Testing Right for Your Dog?